Ilya Zhitomirskiy, one of Diaspora's four founders, died over the weekend at just 22 years of age. Sources close to the company confirmed the death was a suicide but it may take weeks for an official determination. Billed as an open alternative to Facebook, Diaspora was intended to be in direct opposition to the proprietary nature of the largest social network ever. The intention was to create a social network that was open and gave users full control over their privacy. The project came at a very opportune time in the spring of 2010, when Facebook was the subject of considerable backlash due to its privacy blunders. The founders, four students from New York University, took a stab at funding the project through micro-lending site, Kickstarter. Thanks to public unrest regarding Facebook, their goal of $10,000 was met in less than two weeks. A month later, Disapora had raised over $200,000 and the project was well under way. Ironically, Mark Zuckerberg, CEO of Facebook, was one of the major contributors. Zuckerberg praised the project and said he admired their drive to make a change. 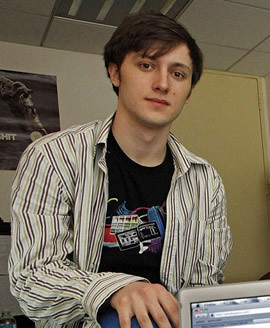 Ilya Zhitomirskiy was described as a "hard-core" programmer who was deeply involved with the Diaspora project and was passionate about making an impact on improving privacy on the web. The buzz surrounding Diaspora has waned as the months have flown by, but the foundation remains active and committed to its goals of a non-centralized social network where users rule. If you would like to donate to the project, you can do so here.